I first encountered Caz on Twitter through a mutual friend, and it didn’t take long for us to start nerding out over LEGO! 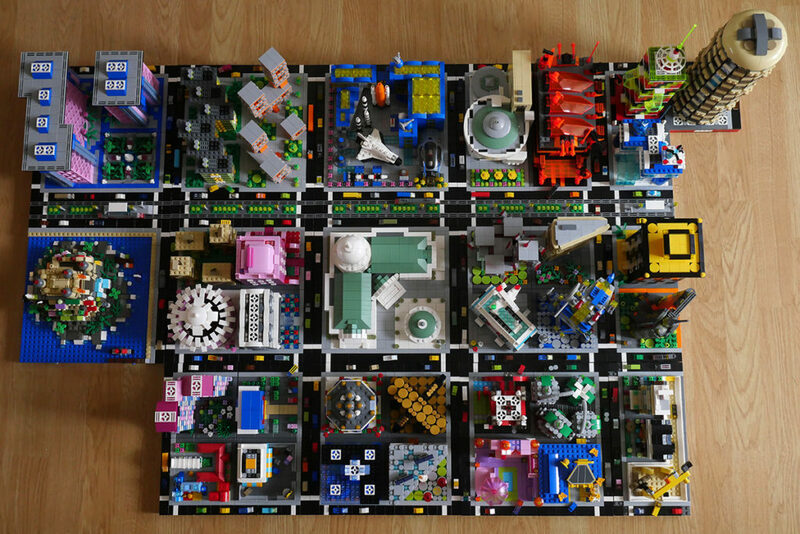 Her ever-enlarging LEGO micropolis city is particularly impressive in my eyes – I love the creative use of parts (see if you can spot the Belville parts!) and colour schemes for each block she builds. Based in Chelmsford, and a member of London AFOLs, Caz is impressively determined to visit LEGO events all over the UK (she certainly wins the prize for most distance traveled to a Bricks + Beers event in Newcastle!). You can find more about Caz on her LEGO blog at cazmockett.co.uk. 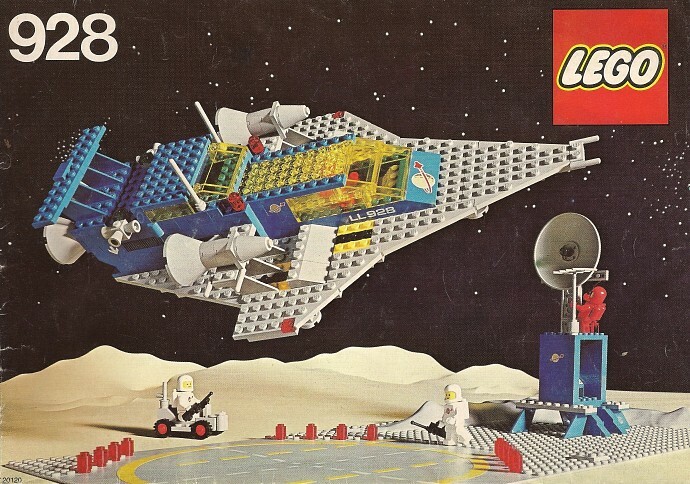 What is your favourite LEGO set of all time? What do you love about it? Another classic space fan – seems a recurring theme among many AFOLs. The best MOC you’ve built so far? I love the Air & Space Museum – a great use of parts and colours. 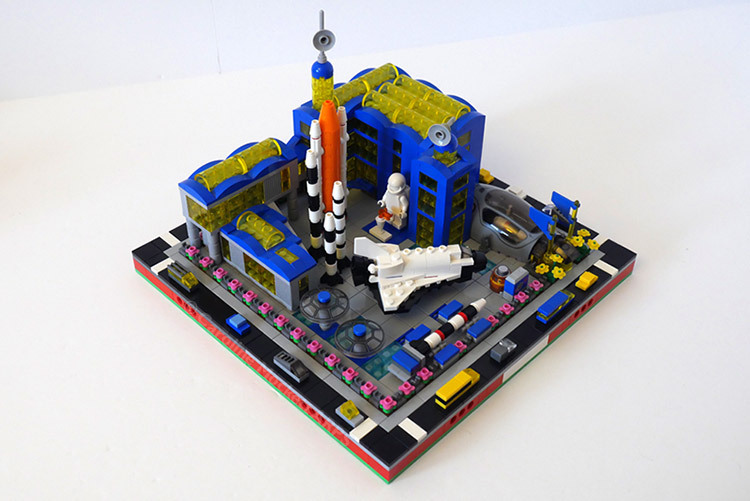 My LUG (London AFOLs) is having an exhibition of real-life objects built in LEGO and placed in appropriate shop windows to coincide with the Caterham Festival in June. So I have just built a tray of luxury cakes to go in the baker’s window, which was a bit of a departure from my normal model subjects. I’ve still got loads of ideas for my ever-growing Micropolis city. It was something I stumbled upon just after I came out of my Dark Ages and instantly fell in love with the concept. I love the variety of possible architectural subjects while still sticking to the 32×32 baseplate “blocks”. I do have a few Modular buildings and will eventually get them into a little Minifig-scale city, but for the moment, Micropolis is the main focus of my MOC activities. Which LEGO builder(s) do you admire most? 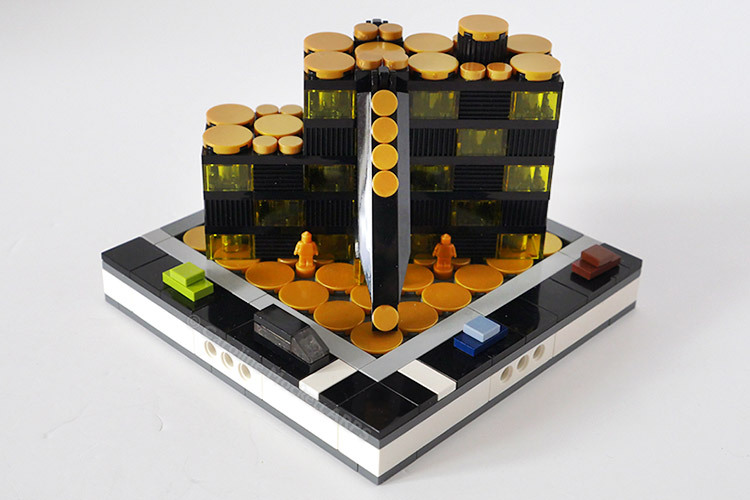 Some great inspiration there; Steve of Brick This also named Rocco’s work, and it’s easy to see why! Everyone loves a bit of sand green! Another Erling brick fan! 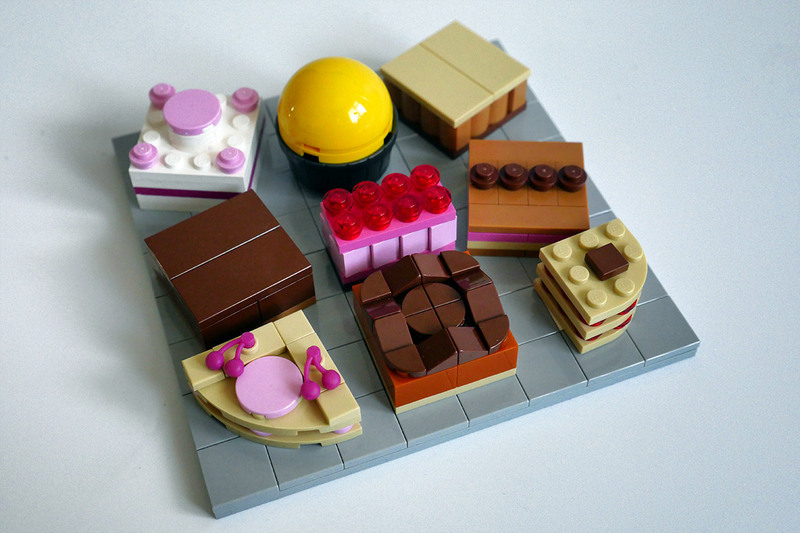 I do love the way such a seemingly simple LEGO element can be used in so many creative ways. 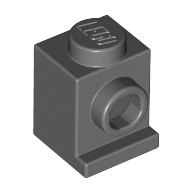 Most unlikely source for inspiration for a LEGO model? I was more of a Blacktron kid – still have most of the sets somewhere. There is something very iconic about the colour scheme, though – and I love a bit of trans yellow! Where do you build LEGO models? Funny, my LEGO models have a habit of cluttering the house too!